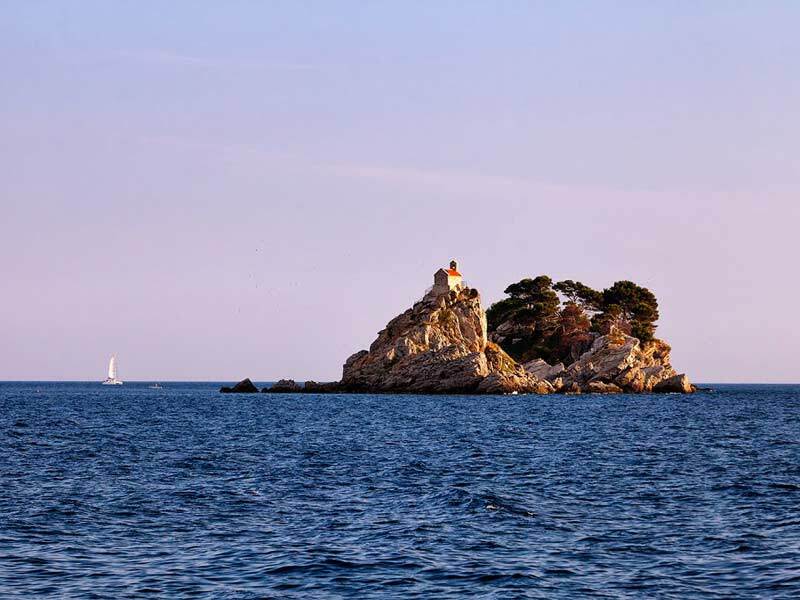 Discover the place of the first naval battle in WW1 near Petrovac! Drop your anchor near unique town of Saint Stephen and some of the most famous beaches in Montenegro! Katič, coupled with the other islet Sveta Nedelja is opposite from the town of Petrovac. This location is great for snorkeling and swimming but it is also a very significant historical site, especially for Hungarian and Austrian sailors. Islet Sveta Neđelja (meaning Holly Sunday) was the place of refuge for Paul Pahner, Austro-Hungarian captain of frigate ,,Zenta’’ and 138 survived members of his crew. Their ship was sunk on August 16th, 1914 and it is still lying at the depth of 70 meters between Petrovac and islet Katič. The little church, which we see today was rebuilt in 1923 by the Zenta’s survivors. Nowadays it is owned by luxury Aman resort and accessible only to their guests. The entrance to the beach is very pricey but you can moor your yacht in close vicinity and enjoy the view. The best beach is always the one you are sailing on, so there is no point to search any further! Best place for mooring is on the east side of Saint Stephen. This small island is covered with typical Mediterranean vegetation and it is a place of haven for many birds and small animals. 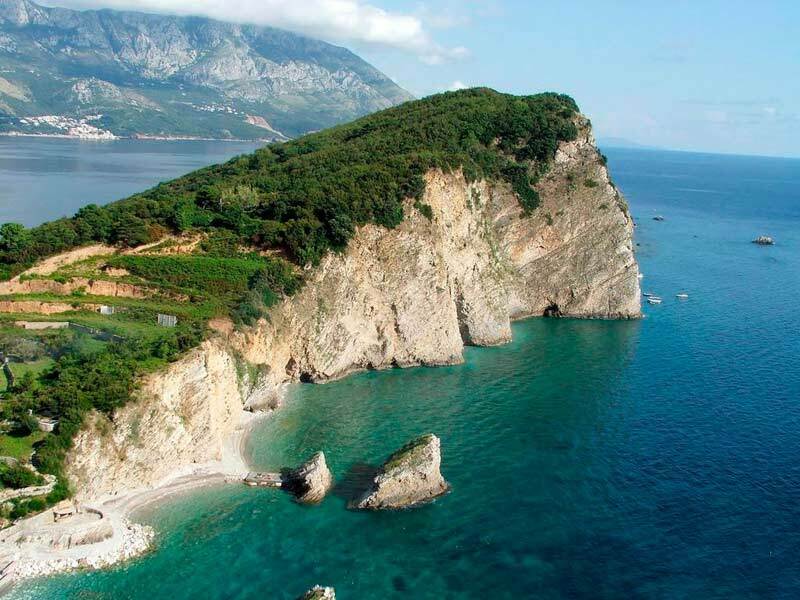 The best place for mooring your yacht is on the east side of the island overlooking to Bečići. When entering Dukley marina in Budva, do not sail between island St Nicholas and Bečići. Sail between the lighthouses at course 013. If you do not wish to spend the night at Dukley marina in Budva you can stay in Jaz cove and enjoy swimming in clear waters and a night under the stars. 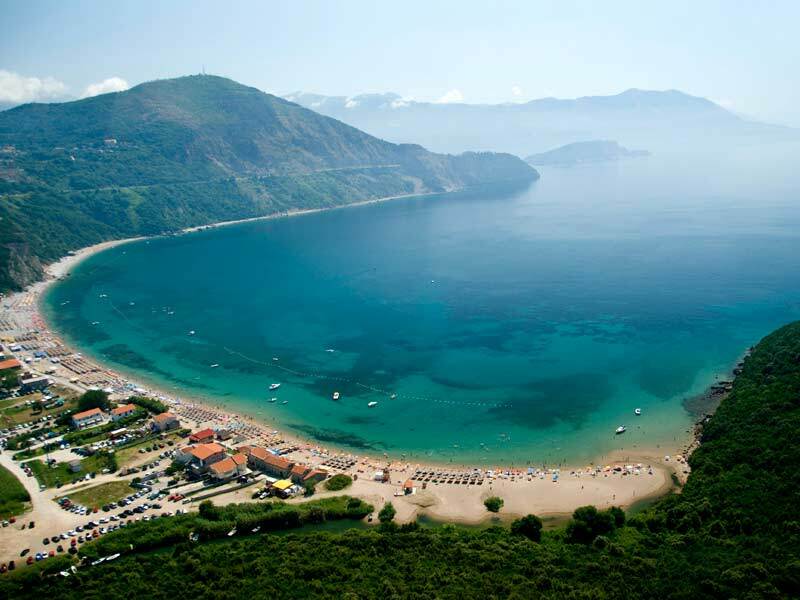 Jaz beach is one of the longest beaches in Montenegro. It became internationally famous when some of the world wide known musicians held their concerts there, including Madonna, Lenny Kravitz, Armand van Helden, The Rolling Stones and the others. In the past several years Sea Dance Festival is being held there. It is voted to be the best European medium-sized festival. Sea Dance festival gathers fans from over 50 countries from all over the world and more than 100 hottest international music stars. It lasts for three days and it is held in mid-July. This could be of interest for young sailors looking for party during their sailing trip.